To clear up any confusion: That bright thing in the top right of the photo is the moon. I know it looks like the sun, but it’s actually the moon. Another photo from the middle lanes of the freeway. There are more light trails from the cars in this photo than the one in my moonlit freeway. The reason why I didn’t like this shot was because you can’t read the “Jamboree Rd. Next Exit” sign as well and the moon is blocked by the chain link fence. I didn’t use Photoshop this time because i don’t like the way it strips all of the important EXIF data. 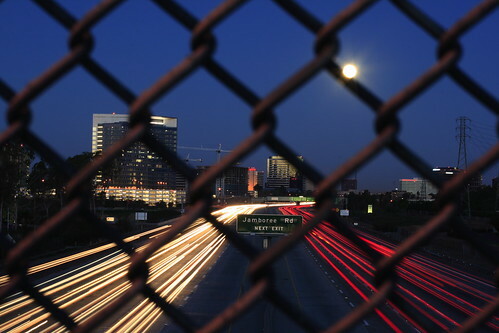 I wanted to keep the fence blurry while getting the light trails from the headlights and keeping the freeway sign sharp. The sun (behind me) was starting to get too bright which made it harder to get the light trails from the cars and caused me to stop down to f22 making the fence a little too detailed. 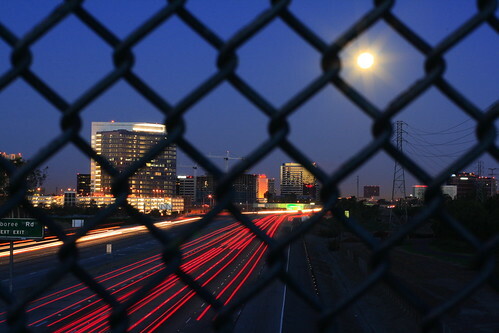 I couldn’t stay in a single spot for too long; otherwise, the moon would end up being blocked out by the chain link fence. Every time I moved, I had to adjust the tripod to get the freeway sign to line up correctly. 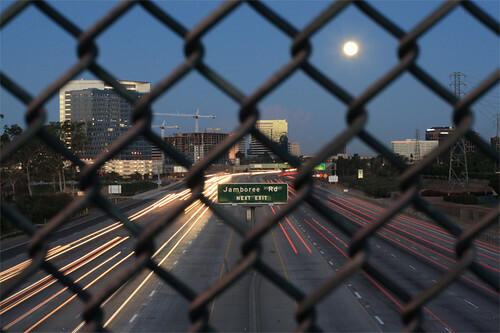 moonlit freeway, originally uploaded by Jason Stone. If anyone has any ideas on what I could have done differently to make this photo better, you are more than welcome to leave constructive criticism in the comments. Thanks! 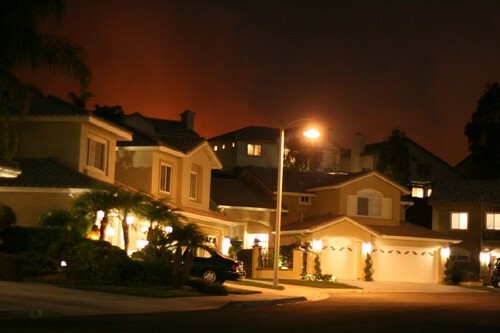 Foothill ranch neighborhood threatened by Orange County fire, originally uploaded by computer-Eyes. 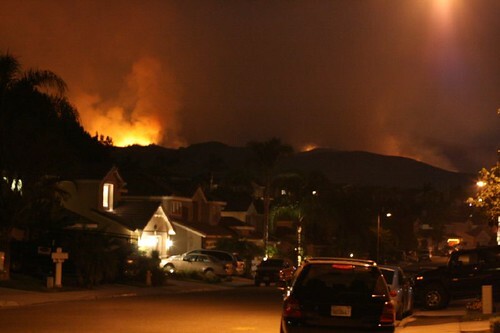 Orange County fire beginning to pose threat to the residents of Foothill Ranch neighborhood. 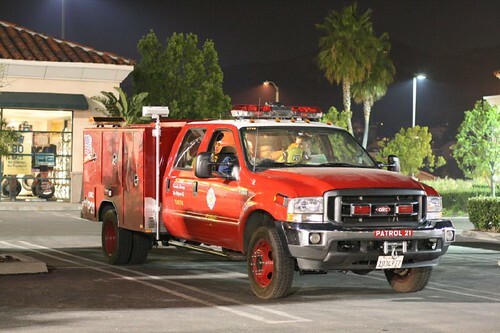 This was taken in October, a couple days after the Santiago Canyon (Orange County) fire was started.